In The 1700s, Rich Women Often Put THIS In Their Hair. Why? Fascinating! Throughout history, countless bizarre fashion trends have come and gone, each one more unique than the last. Among them is the extravagant, perfectly coiffed powdered wig — a symbol of status, affluence, and luxury that pervaded throughout the royal courts of France, England, and many Western countries in the 18th century. And while we’ve witnessed the evolution of many big, beautiful, and bold hairstyles, the origins of these lavish wigs has a rather shocking (and a little gruesome) twist. Despite this, we know them today as decadent shows of beauty, accessories that were coveted by important men and women of the day. From orange flower scents and sparkling jewels, to violet-hued powders and plush feathers and plumes, these wigs were desperately sought after by all members of society, whether they were in the aristocracy or not. Scroll further to discover the remarkable history of 18th-century wigs, and let us know your thoughts on them in the comments below! People have worn wigs since ancient times. The culture of wigs started with the ancient Egyptians thousands of years ago. They wore wigs to protect their shaved heads from the sun. Other civilizations — including the ancient Greeks, Romans, Assyrians, and Phoenicians — incorporated them into their daily lives, marking their presence as a fashion statement. Though used throughout all stages in history — whether as a beauty accessory, a device to conceal baldness, or for cultural and religious reasons — wigs became most prominent throughout the 18th century. Just a little more than 200 years ago, men and women of higher social classes would adorn their heads with intricately woven wigs. The men wore wigs called “perukes” that were powdered to give it a distinctive white to off-white color. Women actually did not wear full-on wigs. Instead, they powdered their natural hair a gray or blue-gray color, and supplemented it with delicate, artificial hair extensions and pieces. The wig powder was made from very finely ground starch, and was often infused with lovely scents, like lavender, orange flower, and heavy perfumes. On lavish occasions, the powder would be colored a stunning bright violet or pink, but most people went for a subtle, off-white hue. Though popular with the aristocracy from many Western nations, wigs and hairpieces grew to their most extravagant state among women in the French court of Versailles, in the late 18th century. 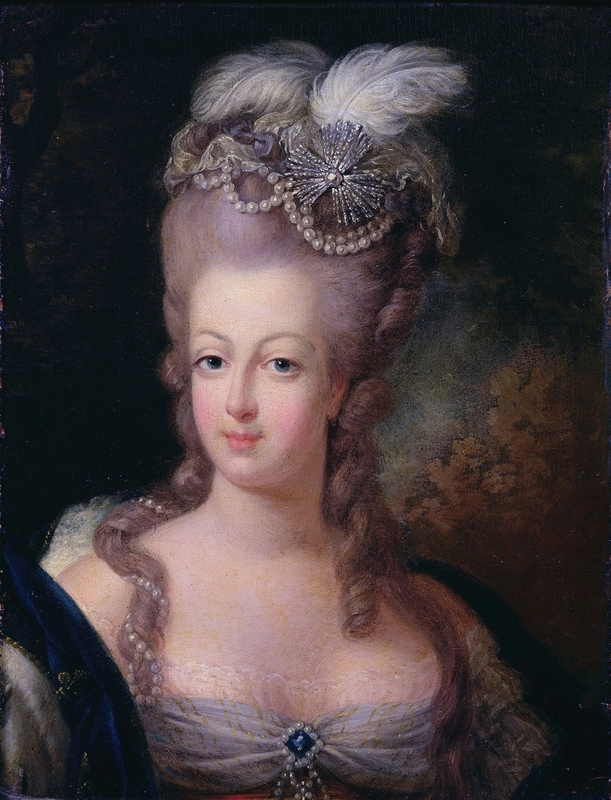 These coiffures were to become synonymous with high nobility and the utmost decadence. 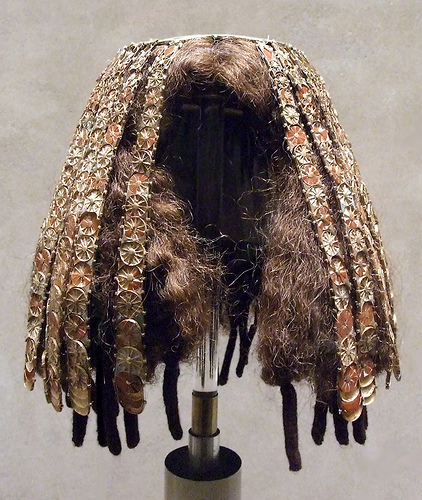 These opulent wigs were at times exceedingly heavy, as women loved to place detailed ornamentation on top and around the sides (much like in this intriguing “boat pouf,” a very popular style back then). Although they would come to be associated with all that is rich, luxurious, and chic, the powdered wigs had the most curious — and rather disturbing — beginnings. By the end of the 1500s, syphilis had swept through most of the vast cosmopolitan lands. The epidemic unleashed hell on its victims: open sores, blindness, dementia, and unexpected hair loss were included in all the gory side effects. Back then, long, luscious hair was an important symbol of status and wellbeing. As a result, syphilis actually stimulated a growth in the wig-making business. The first wigs were fashioned from horse, goat, and human hair, and were made to cover up embarrassing bald patches and bloody sores around the face. They also happened to be great for hiding bald heads, which were the results of frequent lice infestations. Wigs didn’t actually become stylish and wanted until the 1650s, when Louis XIV — then the glorious sun king of France — began to lose his hair, a condition most likely brought on by the venereal disease. Just years later, Charles II, the king of England, followed suit and hired royal wigmakers to make his own hairpieces. 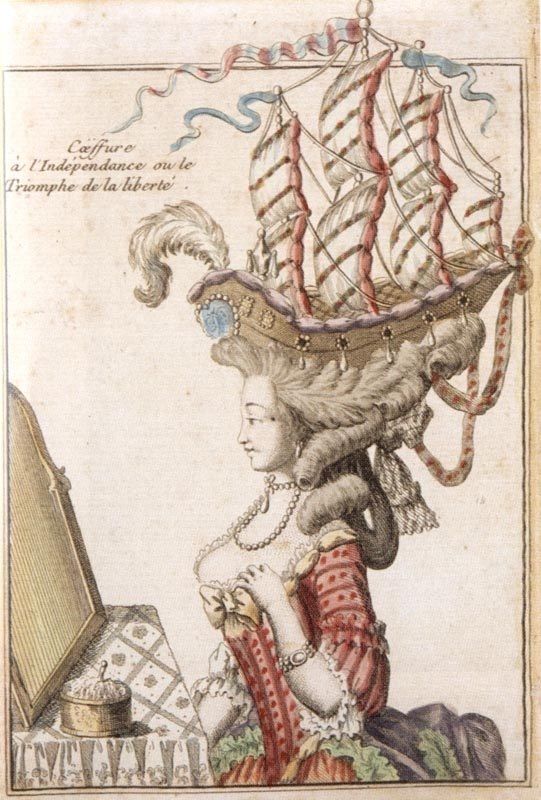 In a few short years, aristocrats, courtiers, and members of the nobility all started donning wigs, unexpectedly paving the way for one of the most curious fashion trends of all time. Many members of the upper-middle class also joined in, but this luxury was something that people of other statuses could barely afford. In fact, a normal wig would cost about 25 shillings in London, which was about a week’s salary for the common worker. Wigs finally started dying out in the last decade of the 1700s. By that time, only older, conservative men and female courtiers still wore wigs. After 1790, women had pretty much stopped powdering their hair altogether. Moreover, the British government had levied a heavy tax on hair powder, causing a gradual decline in the popularity of wigs. By the start of the 18th century, wigs had more or less disappeared from all of France, as a direct result of the changes carried out against the aristocracy during the Revolution. In the following years, all-natural hair became the new craze. But the fascination with these elaborate wigs has prevailed until today. In fact, a new website from the Victoria and Albert Museum allows you to design your own online wig, complete with colorful powder and silky ribbons! You can click here to design your own! Be sure to show us your beautiful 18th century creations in the comments below! Please SHARE so your friends and family can enjoy this fascinating wig history too!